October 23, 2018 | BY: Kristina LaRue, R.D.N., C.S.S.D. October 23, 2018 Kristina LaRue, R.D.N., C.S.S.D. So you’re a plant-based athlete? Are you sure you’re getting enough protein? (I kid!) This is the number one question vegans and vegetarians are asked by their concerned mothers-in-law, friends, and the guy bagging the groceries. What if you turned it around and asked that person in your life if they’re getting enough plants? Everyone loves to talk about the cons of eating vegan or what you’re missing out on, but the reality is, I bet you can find too many unhealthy meat-eating athletes out there who are missing out on key vitamins and minerals needed for recovery. So, here’s the DL on how to recover faster from exercise on a vegan diet. A study published in 2016 showed that cyclists who refueled after an exhaustive workout with both carbohydrates and protein showed improved performance in a follow-up workout 18 hours later, compared to those who consumed a placebo and participants who only took in carbs. Some excellent sources of nutrient-dense carbs: sweet potatoes, quinoa, brown rice, whole-grain pasta, winter squash, beans, and lentils. Post-workout, protein is king when it come to muscle recovery and muscle building from exercise. Research has demonstrated that leucine, a branch chain amino acid (BCAA), is the key stimulator for muscle protein synthesis. Meat and dairy are especially high in BCAAs, which means a vegan athlete who wants to build muscle may need to consume more protein (grams) to get that benefit. Animal protein is a complete protein (meaning it has acceptable levels of all the essential amino acids) while most vegetables aren’t, so athletes need to be smart about combining sources. Up protein intake on a vegan diet with beans, legumes, organic soybeans, quinoa, buckwheat, high-protein and whole-grain or bean-based breads, pastas, and bean flours. 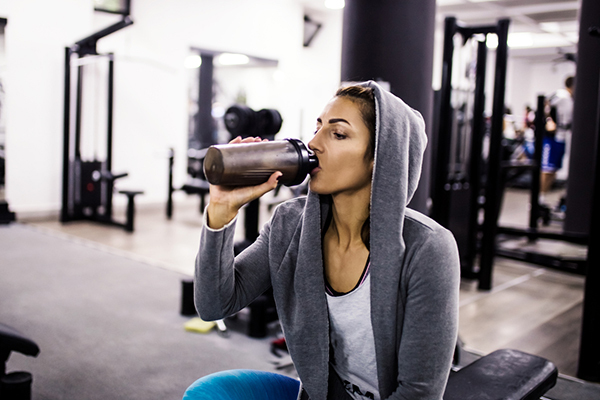 Athletes have increased protein needs that are hard to reach with vegan protein sources, which tend to be higher in carbs, so supplementing with plant-based protein powders is also key. Iron and vitamin B12 are two energy-production nutrients that may be low in the vegan diet. Good vegan sources of iron are beans, dark green leafy vegetables, and fortified cereals. Eat vitamin C foods (orange juice, bell peppers, tomatoes) with plant-based sources of iron for better absorption. Vegetarians who do not consume dairy products or eggs should get vitamin B12 from fortified foods containing nutritional yeast, organic soy milk or milk alternative, meat analogs, and fortified cereals. Another surefire way to meet your B12 needs is a good multivitamin. In fact, given the challenges of the vegan athlete’s diet, a multivitamin is a good idea in general. Sometimes vegan, plant-based athletes can eat too healthy, meaning the foods they eat aren’t dense enough to provide adequate calories or fats to help the body recovery optimally. This can leave vegans feeling famished, weak, depleted, and more prone to getting sick or injured. Plant-based fats like avocados, nuts, and seeds have enough calories to help prevent these issues. Omega-3 fatty acids have been shown to improve neuromuscular function and performance in male athletes given an omega-3 supplement derived from animal oil. These omega-3 fats need to come from the diet, since the body doesn’t make them. Turns out mom was right; fish is brain food. While athletes without dietary restrictions can eat fatty fishes and enriched eggs to get these nutrients, plant-only athletes could lean on chia seeds, ground flaxseeds or flax oil, hemp seeds, and walnuts to up their omega-3 intakes. Algae-based omega-3 supplements are also a good option. Note: Animal omega-3s are made up of docosahexaenoic and eicosapentaenoic acids, which the body readily absorbs. Plant omega-3s are alpha-linolenic acids, which the body only absorbs a small portion of. Because of this, you need much more plant omega-3s to get the same benefits suggested in the study above. This vitamin plays a vital role in optimizing bone health. Move over milk? Good food sources of vitamin D are hard to come by on a vegan diet; however, mushrooms (if treated with UV rays) are one possible source, but again, a good multivitamin can be your friend here. While calcium is important for bone health, vitamin D, weight-bearing exercise, and adequate protein intake also play key roles. Studies show that potassium and vitamin K (plant-based nutrients) may also protect your bones. Bone up with these great vegan sources of calcium, like fortified plant-based milks and orange juice, calcium-set tofu, collard and turnip greens, kale, broccoli, calcium-fortified breakfast cereals, oatmeal, dried figs, almond butter, tahini, and beans. Probiotics are good bacteria that aid digestive health. Stress, sugar, and unhealthy fats can wreck havoc on the gut and create an imbalance in which the bad bacteria take over. Tummy troubles keeping you down? Great dairy-free sources of probiotics include fermented foods, such as kimchi and kombucha. One of the healthiest aspects of a plant-based vegan diet is the volume of plants consumed; this is also a pro for exercise recovery. 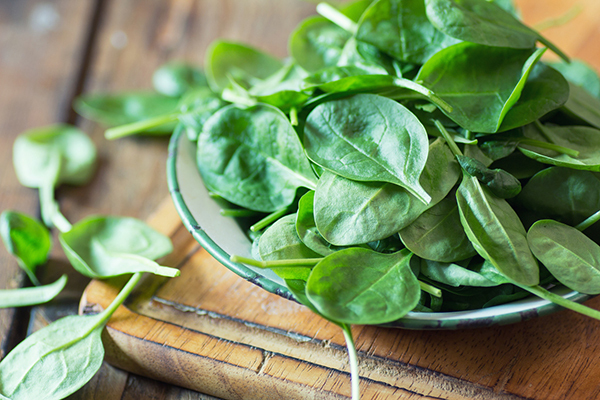 Plant foods deliver antioxidants that have beneficial effects that may aid in muscle recovery. Quercetin, a phytochemical found in blueberries, red apples, and grapes, may be effective in improving endurance performance and recovery. A diet high in nitrates (found in fresh beet juice, celery, lettuce, kale, spinach, cabbage, leeks, and parsley) may help delay fatigue during high-intensity exercise and improve endurance performance. It’s time to power up the plants — try these science-backed strategies to help you recover faster post-workout on a vegan diet.